Opening ceremony of Vaikarai – The health care center for spinal cord injured people, Pampaimadu Ayurveda Hospital premises was held on 17th January 2014. 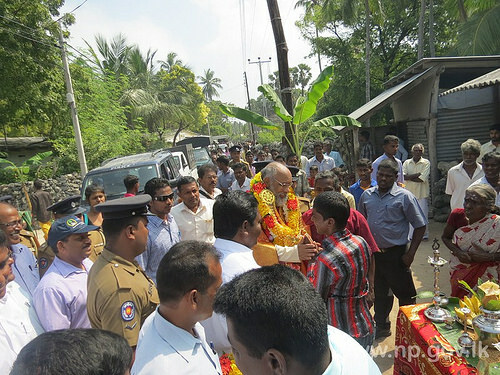 The Chief Minister of Northern Provincial Council Justice C.V.Wigneswaran participated as the chief guest and ceremonially declared open the center. 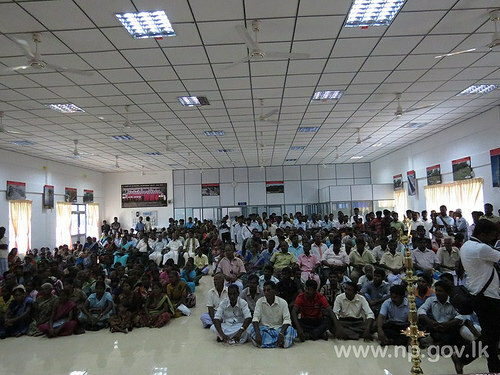 This health care center was established with the effort of Health Minister Dr. P. Sathiyalingam to support those who are affected by spinal cord issues. Obviously this center will serve them to return their normal life and involve their day-to-day activities without any ache. This kind of health center will be established in other districts too after collecting the details of number of affected people. Provincial Minister of Health Dr.P. 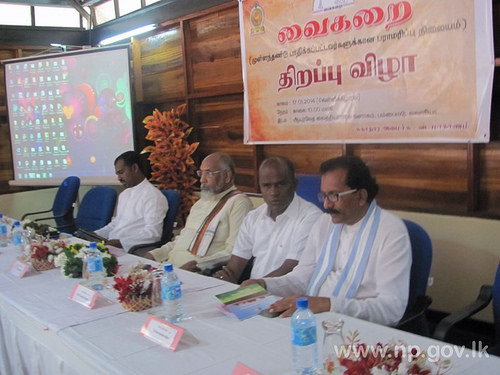 Sathiyalingam, Provincial Minister of Education T. Kurukularajah, Provincial Member of Fisheries and Transport B. Deniswaran, Parliamentarian N. Sivasakthy Ananthan, Members of Northern Provincial Council and officials from Provincial Ministry of Health also took part in the event.